SA Elementary School is proud to announce the "Awesome Authors" for the second nine weeks. 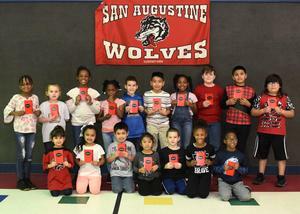 "Awesome Authors" are chosen from each grade level at the end of each nine-week period by their teachers. Students' work is displayed in the main hallway for everyone to enjoy. Great Job SAES!